The holidays are an important time for your son, and you, to relax after the busyness of the year. However, with the first day of the new school year upon us, it is time to start thinking about how you can help your son transition into the school routine. 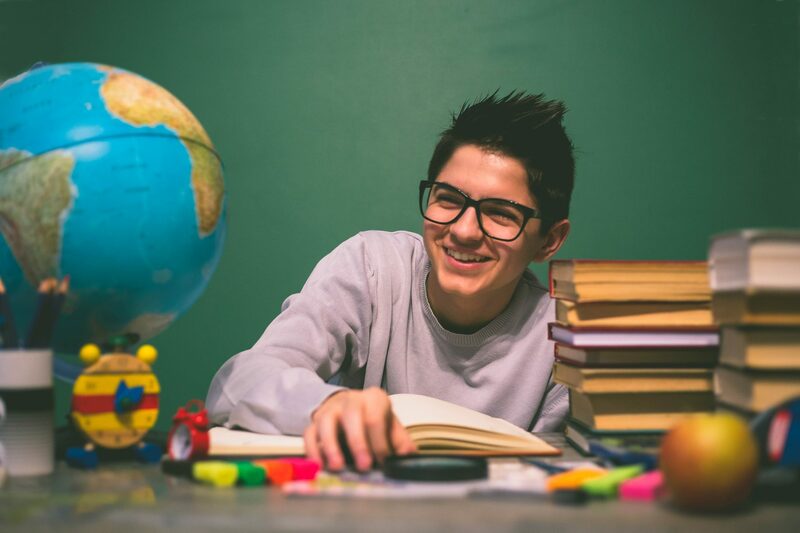 If it is your son’s first year in secondary school, this transition is particularly important, as academic success is linked with a smooth shift into high school. Here are some tips for making the transition as smooth as possible. After a summer of relaxation, and unstructured sleeping patterns, getting back into the swing of school mornings can be challenging for your son. A good tip is to alter bed times and wake-ups to conform to the school routine several days before the first day of school. This allows your son to get back into healthy sleeping habits, and ensures that the first day isn’t such a shock. If your son is in his later years of schooling, encourage him to be more independent in his new year school routine. Why not encourage him to organise his own lunch and pack his school bag the night before? A new year is an important time for goal-setting. Sit down with your son and help him set some goals for 2018. Ensure that he is focusing on more than just getting good marks. These goals should be small and achievable. They might include putting together a study or homework timetable to assist him in getting organised at the start of term; concentrating on an area of study that may benefit from extra work; or establishing a personal fitness target. Helping him with goal-setting makes it easier for you to sit down with your son during the year to check in, together, on his progress. It is also important to communicate with your son about any worries or concerns he may have about the year ahead. A constant focus at Brighton Grammar School is improving the wellbeing of our students. Research shows that practising mindfulness can help make your son’s transition to a new school year easier by reducing anxieties. The first day of school can be just as nerve-racking for parents as it is for young people, particularly those with sons in earlier year levels. It is very important for parents to be self-aware, as anxious behaviours in parents are often reflected in their children. Keeping your emotions in check will help prevent your son from harbouring anxiety about the new school year. A positive and supportive home environment has been shown to help children perform better at school. Finally, don’t forget to communicate with the school. Attending any available information evenings or orientation events, as well as keeping up to date with regular newsletters and communication from the school, will help make your son’s start to the year all the better. All the best for a positive start to 2018! Costello, E. & Lawler, M. IJEE (2014) 6: 2. Langenkamp, A.G. Am J Educ (2009) 116. McClure, E.B., Brennan, P.A., Hammen, C. et al. J Abnorm Child Psychol (2001) 29: 1. Mitchell, J.H., Broeren, S., Newall, C. et al. J Exp Child Psychol (2013) 116: 1.